Along with Commodore, Digital was yet another company that chose to distribute the Infocom titles for their systems in their own packages. The colored stripe at the top differentiates between specific flavors -- DecMate, DecMate II, Rainbow, etc. Sizewise, it's got the same dimensions as the Deadline and Witness folios. 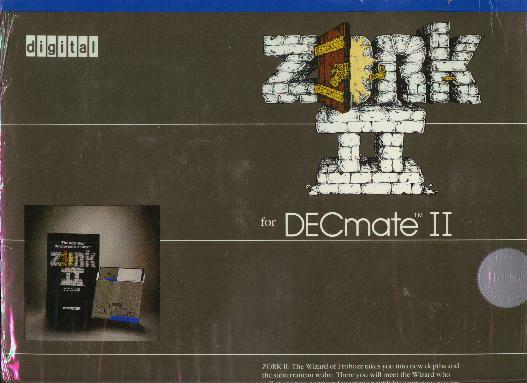 I also have a Zork III and Witness like this, and it's possible that only the outer folders are different, with the normal folio contents inside. Unfortunately I can't tell for sure, since they're all wrapped and staying that way. Anybody got an opened one?